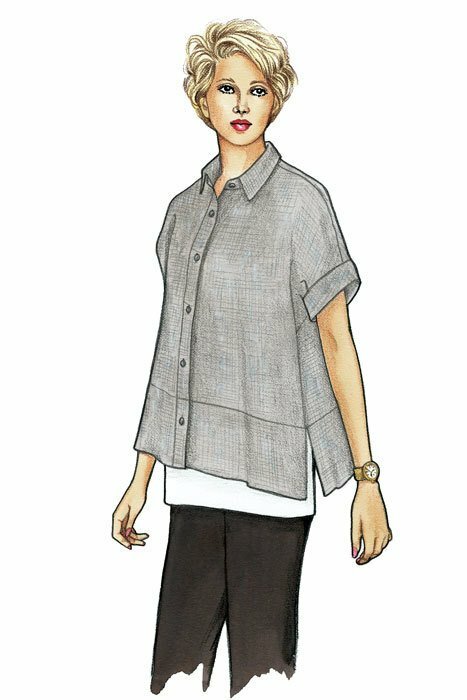 Shirt Loose-fitting camp shirt with a modern twist has tailored collar and stand, back yoke, armhole bands and exaggerated hems with side vents. Six-button closure. Fabric Suggestions: Light to medium-weight Cotton, Linen and Silk. Notions Six 1/2" buttons. Thread. Optional: 1/2 yard fusible interfacing.